The Specsavers County Championship returns to The 1st Central County Ground, Hove tomorrow (Saturday) when Gloucestershire are the visitors to face Sussex (11.00am start). Sussex drew their last four-day encounter last weekend, against Essex at Colchester. Chris Jordan struck a maiden first-class century in Sussex’s first-innings total of 448, to go with his four wickets in the hosts’ first-innings, and three in the second. Ed Joyce also hit 92, taking his tally to 930 Championship runs for the season, whilst Jofra Archer, making his debut in the County Championship, hit 73 in a partnership of 140 with Jordan for the 7th wicket. Sussex remain the only the unbeaten team in Division Two and have a game in hand on the top four teams in the table, and a win would apply some pressure in the hunt for the single promotion place. 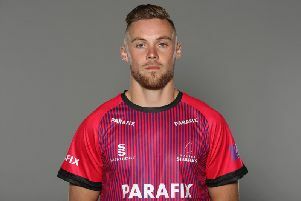 Harry Finch suffered a broken thumb in the draw at Colchester so misses this match, and he could be doubtful for Sussex’s remaining five fixtures after this one. Matt Machan continues his recovery from a wrist injury, but left-arm seamer George Garton returns to the squad after missing the game with Essex due to sore shins. Christian Davis would be making his County Championship debut if selected.